Our location in the premier entertainment district of downtown Columbus, Ohio offers an unrivaled fitness club experience. 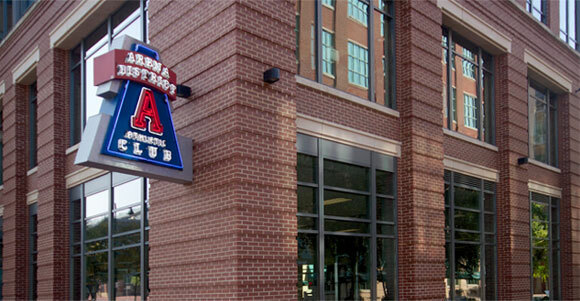 The Arena District in downtown Columbus is a popular neighborhood featuring sports, entertainment, food and drink, and modern residential living options. With its exceptional dining, accessible parking, live entertainment and affordable hotels – families, couples and singles alike can enjoy the district and all that it has to offer. 5:30 a.m to 10:00 p.m.
5:30 a.m to 9:00 p.m.